For many of us, Christmas just would not be complete without a Christmas tree. Have you ever wondered where the tradition of having a Christmas tree came from? 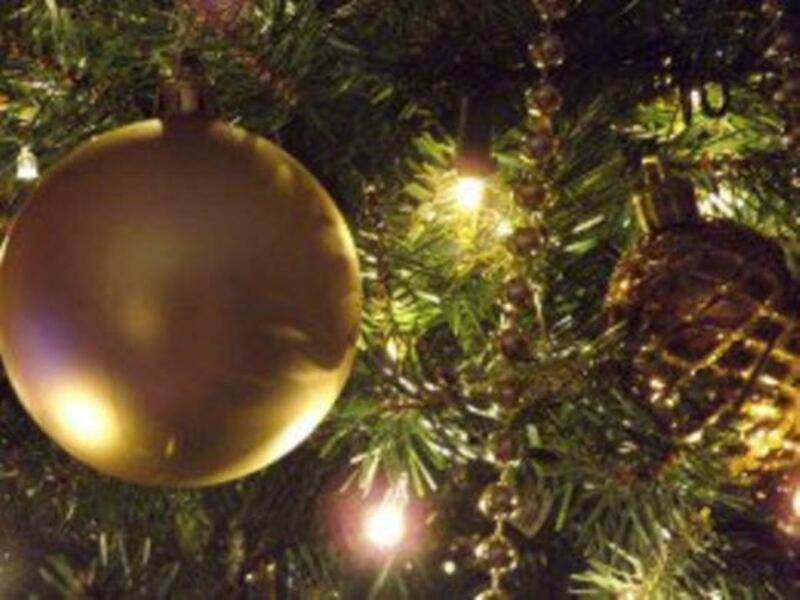 There is some controversy among Christians over the use of the Christmas tree and we’ll discover what the reasons are and why some see the tree as a symbol of Christ and others find it a pagan tradition. Still others see each ornament as something representing the coming of the Christ child. 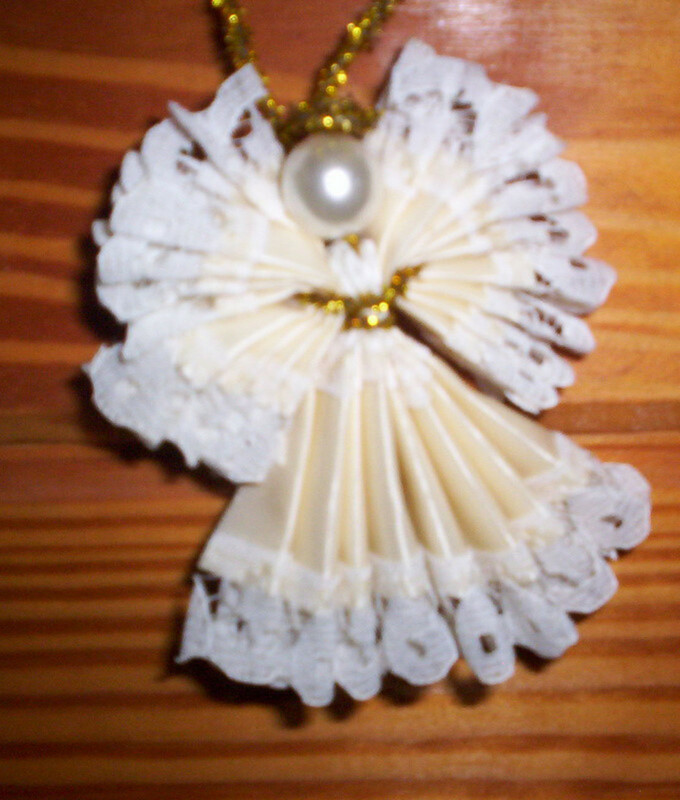 The tradition began in the 16th century in Germany. St Boniface went there to try to convert the people to Christianity. While walking in the woods he found pagans worshipping their gods and spirits around an oak tree. One story tells they were actually sacrificing a child to their gods. Since this angered him, he immediately chopped down the tree. The legend goes that he knocked it down with his fist. Oaks are strong trees, so it must have been a very small tree. Tradition says that after he chopped or knocked the tree down, a pine tree sprung up in its place. St Boniface saw this as a sign and the tradition of the Christmas tree began. Others stories say that Martin Luther went for a walk one night and thought that the stars shining through the pine trees were so beautiful that he brought one home to place in his house. There he covered the trees with candles. The tradition of lighting the tree with candles then began. 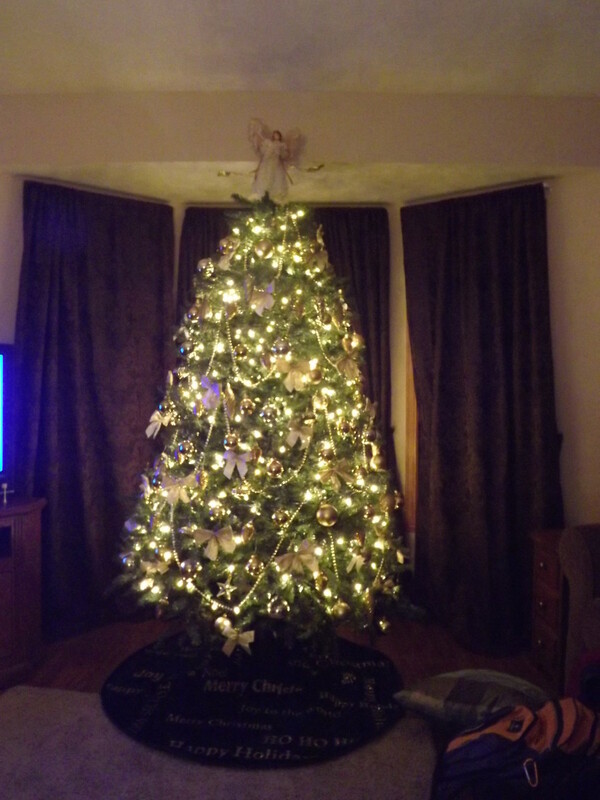 The tree skirt was placed under a tree to catch the burning wax from the candles. This explains our tradition of using Christmas lights which are much safer than using candles. 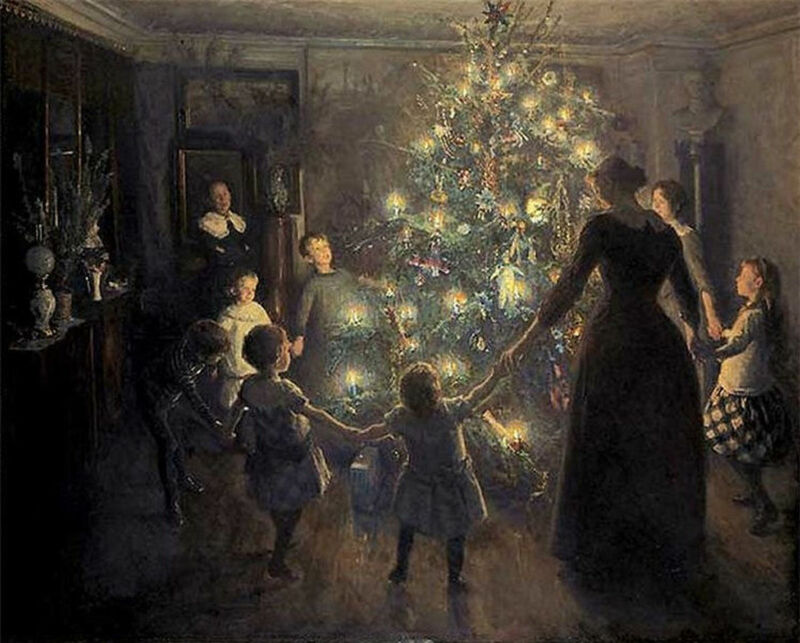 The German people were the first ones to use a tree at Christmas. They used roses, apples, nuts, berries and candles to decorate the trees. It was the Protestants that first adopted the Christmas tree as part of the celebration of Christmas, even if the story of St Boniface is true. In England the Royal family adopted the celebration of Christmas with a tree around 1840.The Royal family not only used lights to decorate the tree but also used candies, gingerbread men, and fruit. Later the common people joined in. In America, a Christmas tree hadn’t been used until Germans immigrated in the early 1800s and brought the tradition with them. Americans at first thought using a Christmas tree was a pagan tradition and didn’t want the tree as part of the Christmas celebration, but by the end of the 1800’s most Americas followed suit. We often lose sight of some of the wonderful things about Christmas with our busy hustle and bustle with all of the parties and gift shopping at Christmas. It is good to look back to the real reason that we celebrate Christmas to begin with. The lights are to symbolize the birth of Christ. Trees were originally decorated with candles, since they didn’t yet have electricity. The tradition now is to use electrical lights which are safer, but require caution. The lights can be a symbol of the stars that shown in the sky as the shepherds worshiped the Saviour or the star that guided the wise men. It can also symbolize the fact that Jesus is the Light of the World. The Christmas tree is usually decorated with an angel on the top to represent the angels that were there at the birth of Christ to worship him as the Son of God and to announce his coming. The stars used as ornaments or as a tree topper symbolize the Star of Bethlehem that guided the wisemen to the Savior. The wood of the tree symbolizes the cross of Christ as he died for our sins. The green tree symbolizes the new life Christ will give you if you accept him as your Savior. Red ornaments symbolize the blood he shed for our sins. Apples are also often used and remind us of the sin of Adam and Eve and our sinful nature too. Many Christians oppose the use of a Christmas tree, but I don't find a problem having one. The reason given is that it is believed to have pagan origins. Others say that trees have been worshiped by people in the past. There aren't too many things that haven't been worshiped by people in history including the sun, the moon etc. It is up to a person's personal beliefs to celebrate Christmas in the way they see fit. 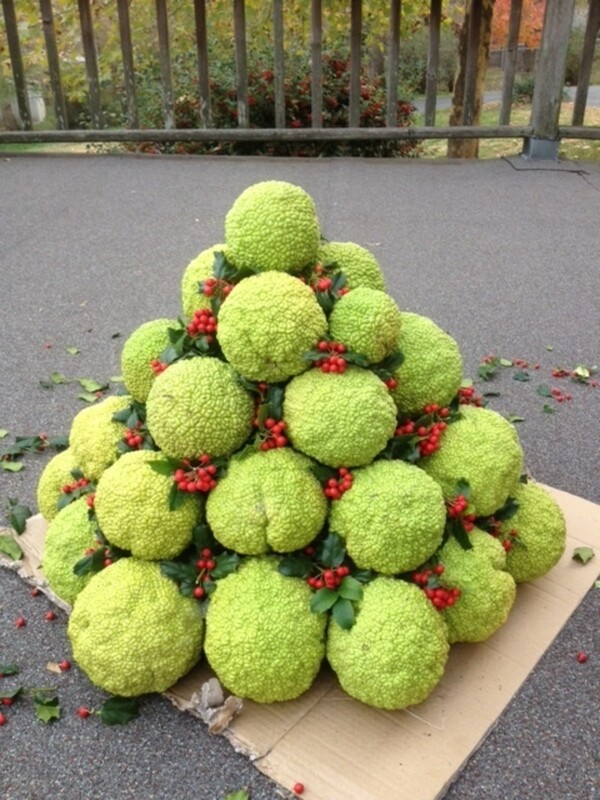 I hope you have enjoyed this look at the origins of Christmas trees. Have a Merry Christmas this year. tammyswallow, Thanks for commenting and I am happy to hear that you learned something from it. SkeetyD, I have a friend that believes you shouldn't celebrate Christmas at all because of it's pagan roots. My feeling about that is that you can make anything evil if you view it in the wrong way. We make Christmas a real Christian celebration and I have no problem with it. Easter could be viewed as evil too, because Easter eggs have pagan origins. Men could even say women are evil because they make them think sinful thoughts. It is all in the eye of the beholder. The friend won't even let her family visit her at Christmas, because she thinks it is wrong. I think things can be taken too far. Thanks for voting the hub up and commenting. This is a great hub. I appreciate you sharing your thoughts on the Christmas tree. Some people are aggressively opposed to them. In fact, not only the tree but everything that makes up Christmas tradition, saying that it is all derived from pagan origins. However, I think that if you are a Christian and you enjoy your Christmas celebrations, you should not be harrassed or shunned for doing so. Voted up! Beautiful tree! I learned a lot about the inception of a very important Christmas tradition! Eve, I'm happy I could help. Thank for reading. This was very helpful for a series of articles I'm writing. Thanks! alocin, Thanks for reading the hub and commenting. I wish I'd seen this last Christmas. The explanation of the symbolism is so helpful. Voting this Up and Beautiful. Very informative and well researched article. Well done! Thanks prasetio30. I'm happy you enjoyed it. I never heard about this before. Thanks for share with us. I really enjoy to read the history of Christmas tree. Rating up. Craan, Thanks for commenting. Have a Merry Christ centered Christmas. Thanks for this inspiring Christmas hub. The meanings of the tree parts tied to the symbolism of Christ's Birth was an eye opener. I love Christmas time with all the gift giving, comradeship and Holy Worship to Our Lord Jesus Christ. Jesus is the Reason For Season! Wendy, Thanks for visiting the hub. Great information. I didn't know about many of the symbols. Thanks.